Another fake news narrative blew up in the Democrats face once again. This one was related to the Trump Tower meeting in June 2016. 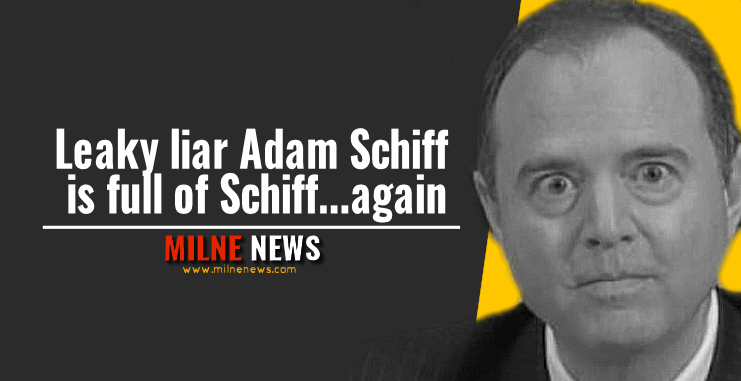 A guess who was at the front of it all, Schiff. Schiff and Democrats have been spreading this narrative that then-candidate Donald Trump knew about Don Jr.’s meeting with Russian lawyer Veselnitskaya because Donald Trump Jr. received mysterious calls from a blocked number ahead of the June 2016 Trump Tower meeting. When asked, Don Jr. told Senate investigators that he could not remember who called him from the block number. But Democrats led by Adam Schiff have been saying the phone calls were between Donald Trump Jr.and his dad and that they discussed the meeting. On Thursday, Senate investigators revealed to CNN that the calls were from two of Don Trump Jr.’s business associates, and not from his father as the Dems and Schiff claim. Democrats constantly saying that Trump Jr. lied to Congress and that Trump himself has lied publicly about whether Trump knew about the meeting before it happened. Trump has claimed he learned about it only when the press started inquiring about it in 2017, more than a year after the meeting took place.